Welcome to SitcomsOnline Digest! It has been a slow holiday news week, but this week, we did get one (last?) cancellation of the 2015-2016 TV season from a sitcom that was among the last to debut, news of an opportunity for Rob Lowe to keep his streak of being a regular on a broadcast network TV series going, and more. Let's get going! Mill Creek is continuing with their re-releases of series with some new Blu-ray releases of Universal series on October 4, including Miami Vice - The Complete Series (Blu-ray) and Knight Rider - The Complete Series (Blu-ray). That's not all, though. On the same day, they will also re-release the complete series on DVD with Miami Vice - The Complete Series (DVD) and Knight Rider - The Complete Series (DVD). That isn't all for Mill Creek. On September 6, they will re-release Coach, beginning with Coach - Seasons One and Two (of course, we're hopeful that they'll eventually give us the entire series of it on DVD). Warner Archive is moving forward with Family Matters, with a July 26 release of Family Matters - The Complete Seventh Season. The Defenders - Season One (DVD, $44.99): Shout! Factory brings the first season of this classic (but rarely seen these days) legal drama starring E.G. Marshall and Robert Reed to DVD. Emergency! 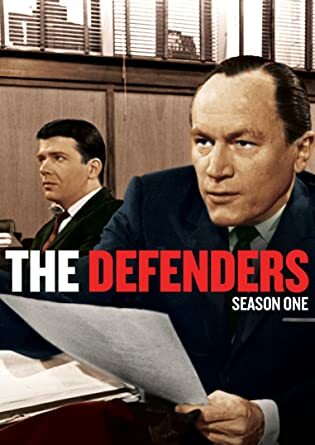 - The Complete Series (DVD, $149.98): The classic medical action-drama series arrives on DVD as a complete series for the first time. Who to Follow: Sophia Vergara (Twitter), "Modern Family!" Claim to Fame: Sophia Vergara was born in Colombia, and began her career as an actress in Spanish language productions before crossing over into American productions in English with an episode of Baywatch. In 2007, she gained a starring role in a Colombian version of Desperate Housewives in 2007. But these days, she is best known for her role of playing Gloria Delgado-Pritchett on the ABC sitcom Modern Family. Since taking that role, her star power has exploded, and she has become much more well-known.